How often do you come up from a dive and hear “What was that funny looking fish?”. The trick with fish identification is to be familiar with the fish family, not the species. 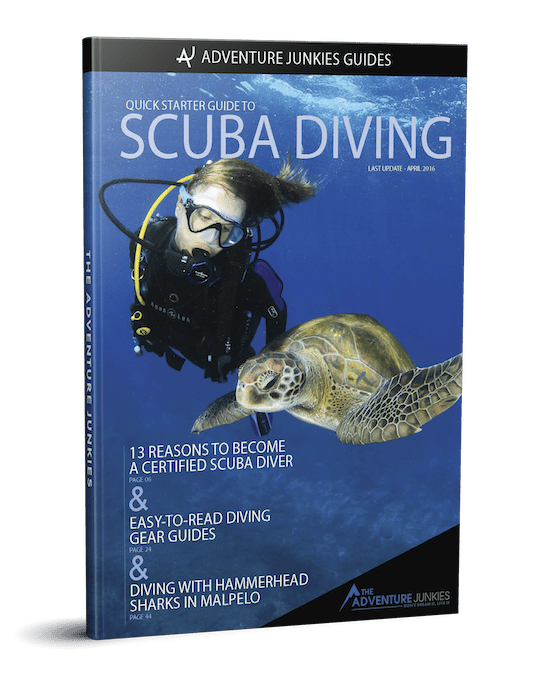 This article will break down the most popular families and give you tips on how to identify fish next time you go diving. Butterflyfish, surgeonfish and angelfish have an oval shaped and thin body profiles. 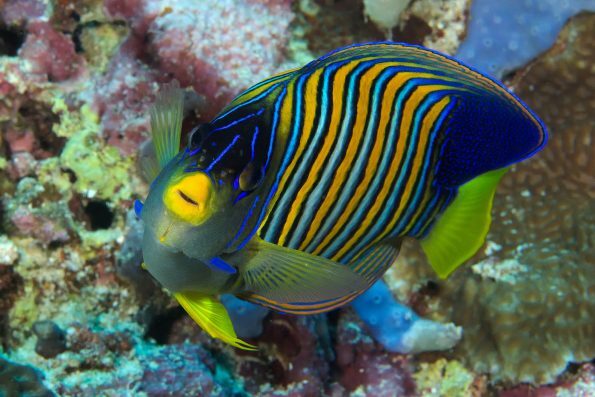 This fish family is also famous for its vibrant colors and attractive patterns. Out of the three, surgeonfish have the most solid color pattern. Some species of butterflyfish have either eye-like spots on they’re bodies or black stripes. Butterflyfish are amongst the most common fish encountered on reefs worldwide. Angelfish tend to be bigger than butterflyfish and surgeonfish. The largest species of angelfish is the Grey angelfish, found in the Western Atlantic Ocean. This is a particularly large group of fish, compromising of hundreds of different species. Have a look at Fishbase to get a better idea of the diversity of individual species in this group. Groupers are an easy fish to identify on reefs. Groupers are a big and slow moving fish. Groupers are most commonly brown colored with black dots or splotchy markings. One of the most recognizable characteristics of a grouper is the large gaping mouth. In some places, groupers can be the biggest fish on the reef. According to the Florida Museum of Natural History, the Atlantic goliath grouper can grow up to 2.5 meters in length! Bass have more elongated bodies than groupers and tend to be smaller. Bass like to hang out on the seafloor. Common bass species include the seabass, white bass, and striped bass. 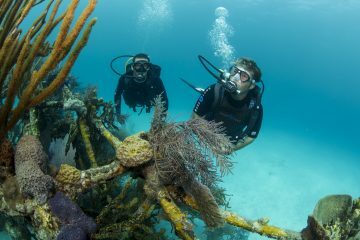 Parrotfish and wrasse are one of the most vibrantly colored fish you will encounter in the ocean. Similar to the land birds, parrotfish fish have a distinct beak-like mouth and rainbow body. Parrotfish use their pectoral fins to swim, while their tail is used for speed bursts. They inhabit tropical reefs in all of the world’s seven oceans. They can range in size from about 1 ft to 4 ft.
Wrasses are smaller and have longer shaped bodies. There are over 600 species of wrasse, with most of them falling under 20cm in length. Although the largest wrasse species, the humphead wrasse, can grow to over 2.5 meters. One of the most well-known species of wrasse is the bluestreak cleaner wrasse. These small hard working fish set up ‘cleaning stations’ on the reef. They spend their days cleaning larger fish from parasites and other contaminants. 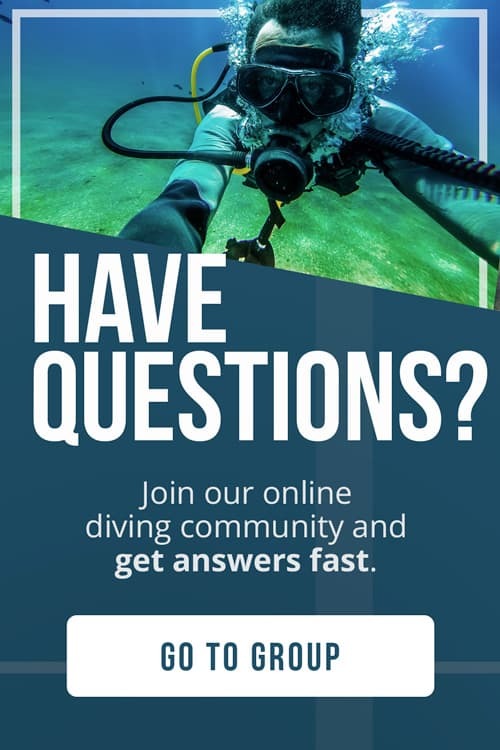 They have even been known to mistake divers for fish! The damselfish, despite its small size, is famous for being territorial on the reef. 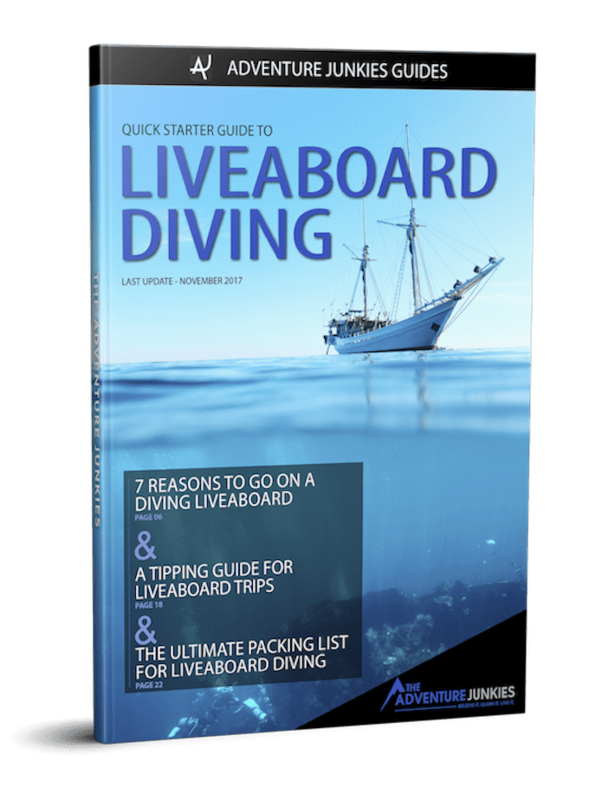 They are often seen aggressively swimming towards bigger fish and sometimes even scuba divers. 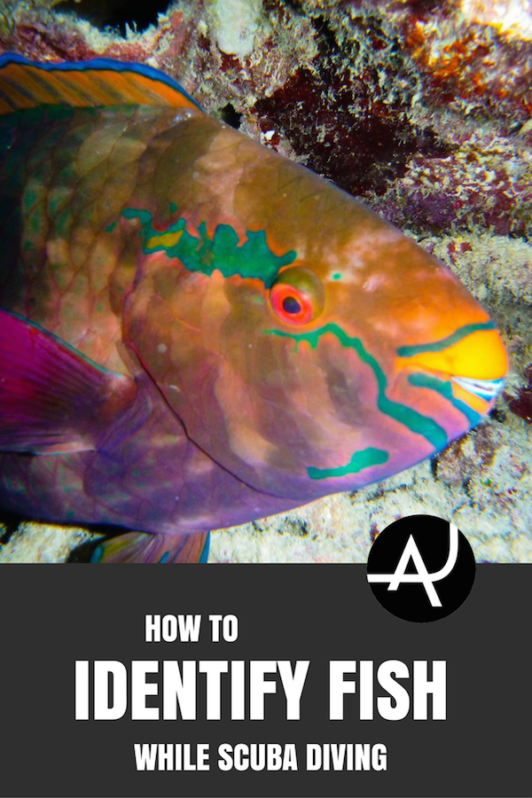 This territorial characteristic is one of the easiest ways to identify this fish. One of the most recognizable species of damselfish worldwide is the sergeant major damsel. Similar to wrasses and surgeonfish, damselfish have one continuous dorsal fin. Damselfish can come in a variety of colors, including red, blue orange and yellow. Chromis are more docile than damselfish and have a more elongated body shape. Jacks and Barracuda are larger predatory fish and can be seen circling the reef in search of a meal. They are silver and smooth and have deep forked tails. Jacks are also commonly known as trevally. They are often seen swimming in the open blue water of the outer reef. Common jack species include big-eye, amberjack, and bluefin trevally. Often feared by divers due to they’re ferocious features, barracudas are an unusual looking fish. The iconic elongated silver body and fearsome needle-like teeth make them unique. There are around 26 species of barracuda, varying in different sizes and colors and behavior. 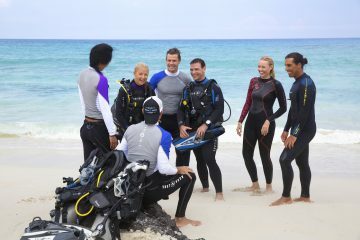 It is common to encounter more than one species patrolling the reef during a dive. Have a look at LeisurePro’s handy guide on how to better identify the different species of barracuda. This group of fish are bottom dwellers and have a knack for camouflage. 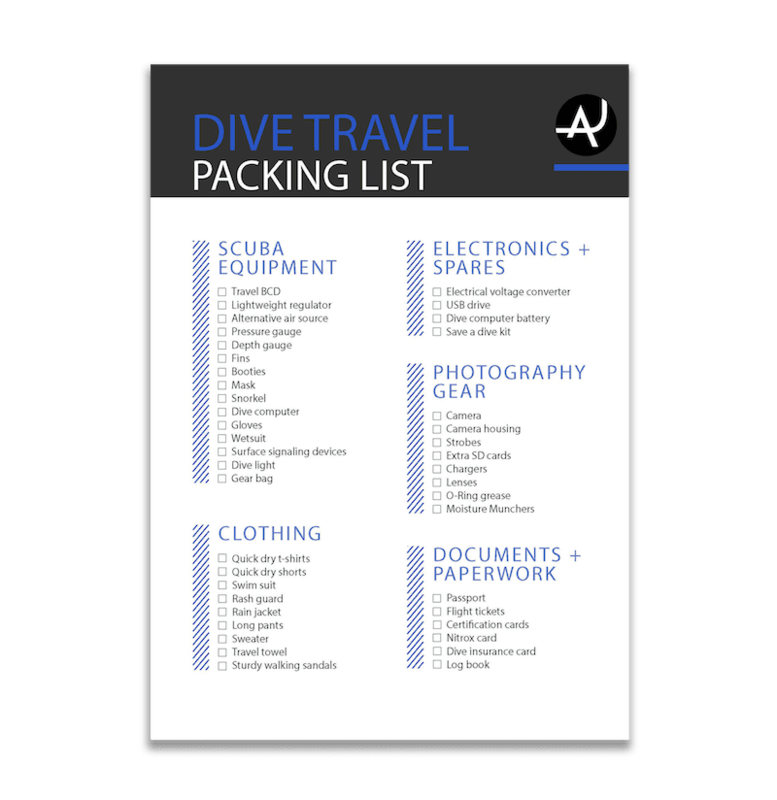 You’ll be lucky to spot one during a dive. Flounders are paper flat like fish with eyes on top of their body. They like to bury themselves in the sand to hide from predators. The color of the skin often resembles the color and texture of sand as well, making spotting them an even bigger challenge. 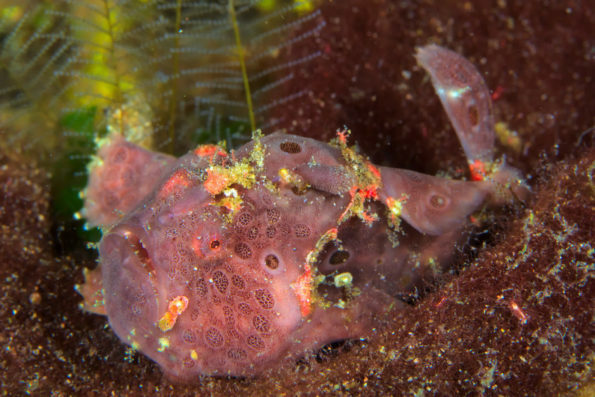 Instead of hiding in the sand, scorpionfish camouflage themselves to match their surroundings. They are often found motionless against a piece of rock. They are highly venomous and raise their spines when approached. Scorpionfish have a stumpy shaped body and a slightly angled mouth. They are often mistaken for stonefish. Stonefish have a more upturned mouth and an iconic grumpy appearance. Frogfish are excellent at camouflaging as well. They have webbed pectoral fins, which they use to ‘walk’ on the seafloor. Also known as anglerfish, frogfish use a dangling appendage in front of their face to attract small fish to prey on. Gobies and blennies are amongst the smallest fish spotted on the reef. They spend most of their time hiding in small crevices or holes in the sand. Blennies have small appendages above their eyes that resemble little horns. They are commonly seen perched on their pectoral fins, observing the happenings of the reef. Gobies also rest on their pectoral fins but in a flatter and motionless stance. Gobies live on the seabed and can be spotted while resting on the sand. Unlike blennies who have a continuous single dorsal fin, gobies have two distinct dorsal fins. Gobies are infamous for their symbiotic relationship with pistol shrimps. Gobies use the hole dug by the shrimp as a form of protection, while they act as the eyes for the shrimp, watching for predators.